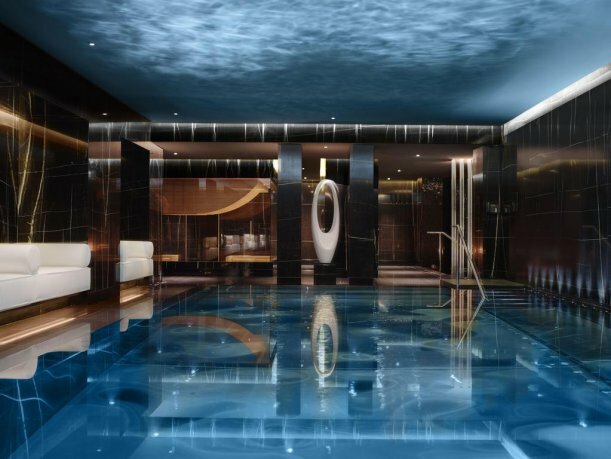 Deeply attentive, profoundly relaxing, with expert consultation, pioneering treatments and tangible results, The May Fair Spa is transforming London's expectations of luxury beauty and health spa treatments. In-depth consultation provides the unique basis for our treatments, courtesy of The May Fair Spa's deeply knowledgeable consultants and superb range of massage and facial therapies. The May Fair Spa and Personal Training Suite marry unparalleled expertise with intuitive care for an approach to wellbeing that is both pioneering and luxurious. All guests are invited to arrive up to one hour before their treatment time to enjoy full access to our wet luxury spa hotel facilities. Unwind in the Relaxation Room before you sample the deep cleansing of the Herbal Sauna and Aromatic Steam Room. Finish off under the Three Experience shower, including Forest Mist setting to prepare body and soul for your treatment.